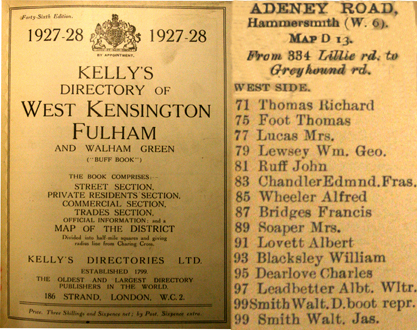 Following the closure of Jack Ruff's furniture shop in Lillie Road in 1923 the family moved a short distance to new accommodation at 81 Adeney Road. 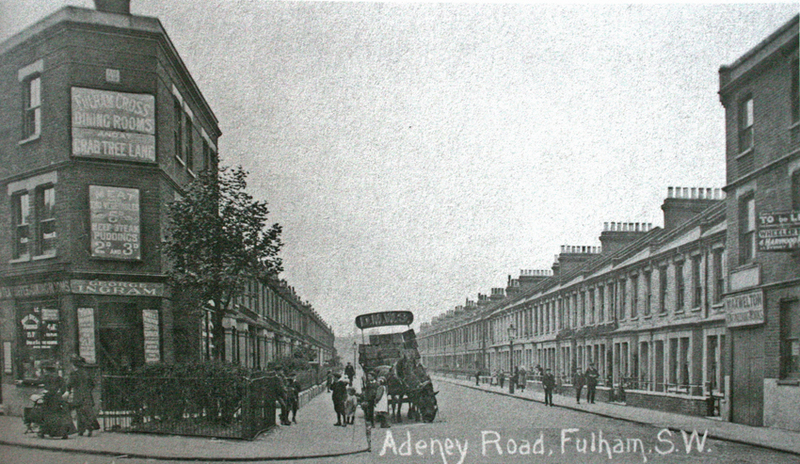 The photograph above shows the junction of Adeney Road with Lillie Road and is of a similar period. The 1946 Bomb damage map below shows the full length of Adeney Road from its Junction with Lillie Road (right) and Greyhound Road (left). Although the road was not seriously damaged the entire area was redeveloped during the 1960's with no trace remaining of any part of Adeney Road.